We rely on our sponsors to keep our ticket prices reasonable and to make TEDxGreenville the best event possible. 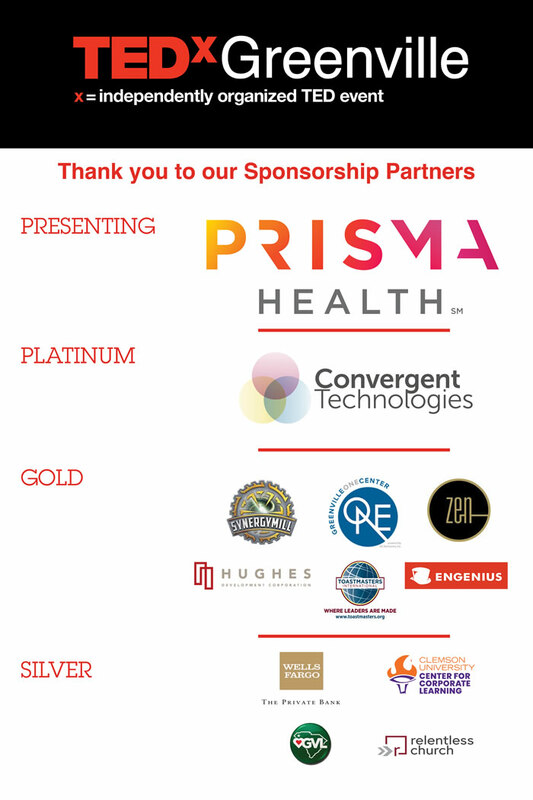 We are especially thankful to our presenting sponsor, Prisma Health. If you or your company are interested in sponsoring TEDxGreenville, please contact Russell Stall at rhstall@gmail.com.